The spring is sprung, the grass is riz, I wonder where dem boydies is. Dem boydies they is on the wing. But that’s absoyd. The wing is on the boyd. 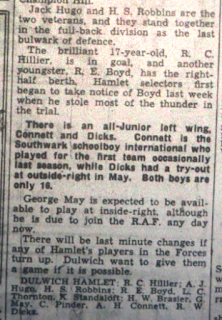 Flight Lieutenant Richard E. Boyd epitomises so many of the Dulwich Hamlet men of his generation. 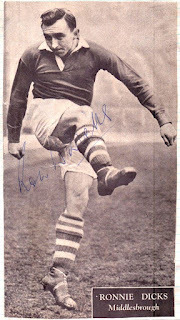 Richard was one of fourscore men from the club’s four teams who served in the Armed Forces during the Second World War. About half of those men, including Richard Boyd, were in the Royal Air Force, and the rest served either on land or at sea. Reg Anderson, Bill Parr, Ron Ebsworth and Eric Pierce, all with the RAF, made the ultimate sacrifice. Richard was a Dulwich Hamlet first team regular in the second season of wartime football, and a member of the Junior team that won the London Minor Cup for the 1939/40 season. Despite not being as famed as many of his peers, Richard’s experiences before, throughout and after World War Two, make his story well worth telling. I had a good chat with the ninety five year old, who now resides in Pennsylvania, on a recent transatlantic telephone call set up by Richard’s daughter Kathryn. It was a joy to speak to a veteran who lived through the London Blitz, made 33 bombing missions in Europe and survived a plane crash. Richard Edwin Boyd was born in the Brockley Birthing Centre on 17 November 1921 and grew up in No. 40 Evelyn Street close by the River Thames and the London dockyards. His parents, Robert and Florence hailed from Carlisle in Cumbria, but found their way south to settle down in the Deptford Park area of South East London. Dad was a welfare officer for the London County Council. Richard, known as Dickie in his youth, spent his schooldays at Bermondsey Central in Monnow Road. One of the great honours of his teens was playing in a final at The Den, home of local professional side Millwall, the club Richard followed. He supplemented his educational studies with Boy Scout duties, achieving the highest level of scouting by rising to King's Scout. He was also the Patrol Leader and represented his Scout group’s football team. War was declared in September 1939. At first it was described as ‘the phoney war’ because of the long period of inactivity by the two sides. In Britain ration books were issued, gas masks distributed, and Anderson shelters were on sale for £7.00 or given out free to the underprivileged. As part of the war effort, Molins Cigarette Machine Company converted much of its apparatus, to weigh, load and pack shells in the munitions field. When the men began to sign-up or get the call-up to serve King and Country, countless women (including the author’s mother) were soon employed to carry out this vital work in munitions factories. At home in No.4 Kempslade Street, Deptford, one of the key tasks eighteen year old Richard had to carry out was to dig up the garden and erect an Anderson Shelter. His proficiency skills with the scouts and engineering skills at Molins, made putting together the ‘flat pack’ a simple operation. Several sheets of corrugated iron and a steel shield were bolted together. Garden soil was then piled up around the sides of the structure with the express hope of extending the lives of the occupants. The size of the shelter was approximately six feet in height, six feet six inches long, by four feet six inches wide. Not a lot of room for movement. Richard had a friend who was a clerk, who told him that he had sent off an application to Dulwich Hamlet’s Junior team and had just been invited for a trial. The Junior team from its formation in 1922 was an essential ingredient in the growth and success of the club during the inter-war years. Dozens of youngsters had made the grade from Junior to First Team. His friend said, you can play a bit, why don’t you come along with me. The offer was taken up, and while the hapless office boy failed to impress and was rejected, sixteen year old Richard put on such a good display that he was immediately drafted into the squad. Appearance records for the Hamlet Juniors, are rather scant to say the least. Jimmy Cairns, who looked after the youngsters in the war years, certainly had no interest in ‘goals for’ or any individual scorer. To the best of Richard’s knowledge his trial took place before the start of the 1938/39 season. His big break came at another trial match two years later at the Champion Hill ground. It was the last Saturday afternoon in August 1940 and according to one press report Richard “stole most of the thunder”. These were troubled times and most of the Hamlet senior squad, as was the case in World War One, were fighting in Europe. Maybe the Hamlet Committee drew inspiration from what took place a quarter of a century earlier, when another band of youths, among them the legendary Edgar Kail, stepped in to fill the breach. It was now the club’s intention to promote more youngsters straight into the First Team. That weekend the Selection Committee took the bold decision to continue to blood the first team with sixteen to nineteen year olds, as one reporter put it “[Dulwich Hamlet was] dripping with teenage juniors”. A handful had already played in the previous season's campaign – including forwards George May, Mick Pinder, and the 16 year old Hillier prodigy in goal. So, for Richard Boyd to break into this side was really quite some achievement. 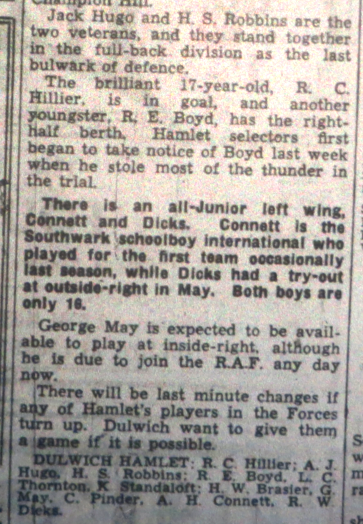 The best of these youngsters were therefore selected to compete for Dulwich Hamlet in the South Eastern Combination League, a makeshift competition set up whilst the Isthmian League took a wartime break. A smattering of ‘old stagers’ – Jack Hugo, Horrie Robbins and Len Thornton – and the line-up was complete. In club tradition any Hamlet servicemen on leave were automatically drafted into the side. Richard was given the right-half position, and during the season he played alongside several past and future Hamlet greats. “Arthur Phebey on the right wing and Pat Connett in the centre. They were my contacts. Phebey became a top cricketer.” He spoke highly of Pat Connett, the Cormont Road Schoolboy International: “A fabulous player. I was his feeder.” Another talented schoolboy, 16 year old Ronnie Dicks from Kennington was also in the side. He and Connett had often been opponents for their school teams in Brockwell Park when they were growing up, and then teammates in the South London Schools side. It is little wonder they knew each other’s game inside out. But it wasn’t just about footballing skills. Manners maketh man, and so an exemplary character and dependability were also required before a young man was invited to become a member of Dulwich Hamlet and presented with a club rule book. Richard still has his original copy with its pink and blue cover. 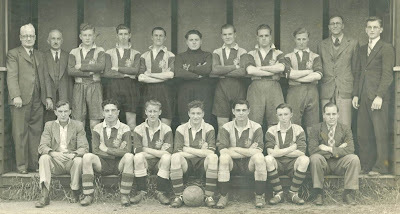 The Hamlet Juniors were finalists of the London Minor Cup two years running – 1938/39 and 1939/40. In the former they were beaten by Hoxton Manor but were victors in the latter over Docklands Settlement. This final had been held over from the previous extended season that ran into June! Richard was about to be thrown in at the deep end at Champion Hill where Dulwich were entertaining Bromley in the South Eastern Combination League. Bromley were one of the top amateur sides of the day. Just a couple of years earlier they were winners of the FA Amateur Cup, the major prize for ‘non-league’ clubs, and had progressed to the second round proper of the FA Cup twice in successive years. But no doubt they were in the same boat as Dulwich and drawing on a younger element. So for Richard Boyd, a player making his first team debut, this game is to be counted as one of the most memorable he would ever play …but for another reason. The date was Saturday 7 September 1940, the first day of the Blitz, and the start of a period of intense bombing. With twenty minutes of the match remaining and the score 3-2 in favour of the home team, the game came to a sudden halt when the air-raid sirens sounded and the players and supporters carried out the air raid drill. 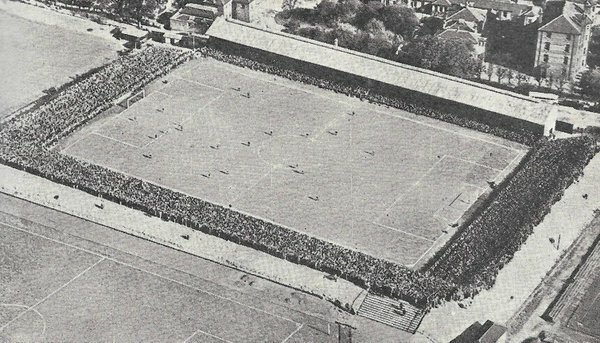 A packed Champion Hill during the 1930s. The main stand was situated opposite the present main stand. Despite the bombardment day in day out, life continued as normal as was possible, never knowing when your number would be up. For safety’s sake his younger sister Patricia and her entire school were evacuated to the English countryside. The family home twice suffered bomb damage. Firstly during the blitz when many of their belongings were destroyed, and then later in the war while Richard was serving abroad, when a V1 rocket landed at the end of the street. On another occasion Richard was making his way home on a bus when a V2 rocket landed a few yards away. In a flash all the windows were blown out sending shards of glass abroad. As Patrol leader of his scout group Richard was attached to the local police station working as a messenger whenever the communications (telephones and radio) were down. More than once he was blown off his bike in bomb blasts whilst racing through the streets delivering a memo. 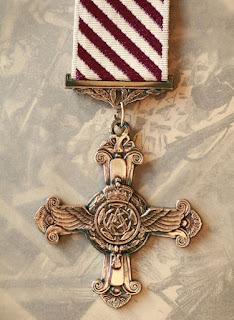 He also volunteered for the Home Guard to defend the Surrey Docks. This was always going to be one of the main targets when battle commenced, so field exercises and strategic operations were carried out in preparation of an invasion. Just prior to the start of the war the Military Training Act was introduced. All 20 year old men had to register for a spell of six months of military training. Then soon after war was declared conscription was introduced for 20 to 23 year olds. They could choose the service they wanted. Many of the Hamlet boys chose the air force over the army or navy. As the war progressed older men also received their call-up papers. Richard, along with some of his mates from the boy scouts, volunteered for the Air Crew in 1941. His scouting activity and decorations all went in favour of him being accepted into pilot training. Little did he know that that meeting with the recruiting sergeant would lead to forty five years in aviation. He jokingly says that without the war he would have become a stuffy accountant. After eight weeks intensive training he was off to flight school. He learned to fly in a De Haviland Tiger Moth biplane, but before he had a chance to fly solo he was selected among a very limited number of cadets for the Arnold Scheme and whisked away to the United States. American General ‘Hap’ Arnold had set up a scheme to train 4,000 British pilots over a two year period promising better flying conditions, weather-wise and with no threat of enemy attack, than England could offer. He crossed the Atlantic aboard a ship from Liverpool to the Royal Canadian Air Force Base in Moncton, Canada via Halifax, Nova Scotia. On his very first pay day he traipsed into town and purchased a bunch of grapes, some peaches, bananas and oranges and devoured the lot before he got back to the barracks. Due to the rationing in the UK it was the first fresh fruit he had tasted in two years! The three phase flying programme – Primary, Basic and Advanced – conducted by the US Army Air Corps produced a limited number of successful cadets who were either returned to the UK as bomber pilots, or stayed in the States to train others. In January 1942 he was moved from Moncton to Albany, Georgia in the South, and with the Aviation class of 42-I he was taught advanced flying. After spending a few days in hospital, he moved to the class of 42-J. His hospitalization had been due to dehydration during a football match, when the Brits were attempting to introduce association football to their fellow American classmates. At the end of the course the Major check pilot got in beside him in the plane telling him, “Okay Boyd, give me two circuits and tell me how to fly this machine.” On successful completion Richard was told he would not be returning to Britain for another year. Instead he would be retained in the States as an instructor pilot in the US Army Air Corps. After making such a good impression and achieving the required marks he received his US Army Air Force wings in November 1942 and became an instructor – one of just 577 British officers to do so. At the same ceremony he also received an RAF Commission [Officer] – one of seven out of the 60 trainees, the others became sergeant pilots. He was based in San Antonio, Texas, and went on to train American pilots to fly heavy bombers in Houston, Texas. Richard, it would seem, was a man of incredible charm. Once whilst doing a bit of sightseeing, he stopped the car outside the Governor’s House in Tallahassee for a tourist photograph, when a woman came running out calling to him and his colleague. She was Mrs Spessard Holland, the Governor of Florida’s wife, and seeing the two men in uniform, invited them in. They ended up spending the entire weekend there! Americans warmly received the Brits in the USA, and although leave was rare, Richard and his fellow trainees often enjoyed the hospitality of local families. During a routine visit to Toronto, Canada he met and fell in love with his future wife Rita. It was the occasion of Richard’s twenty first birthday, and she helped him celebrate by dining and dancing at the Royal York Hotel. They renewed their acquaintance the following year. So taken were the pair with each other that they spent the next few years corresponding. Whilst in the US, and with more pressing issues at stake, he lost all contact with his footballing friends in London but he did represent his own squadron’s soccer eleven. In fact Richard was a bit of an all-round sportsman and was just as comfortable with a cricket bat or squash racquet. He was also a powerful swimmer. Towards the end of the war and after, when on leave he made the odd visit to Champion Hill where a space would be found for him in one of the Hamlet teams. 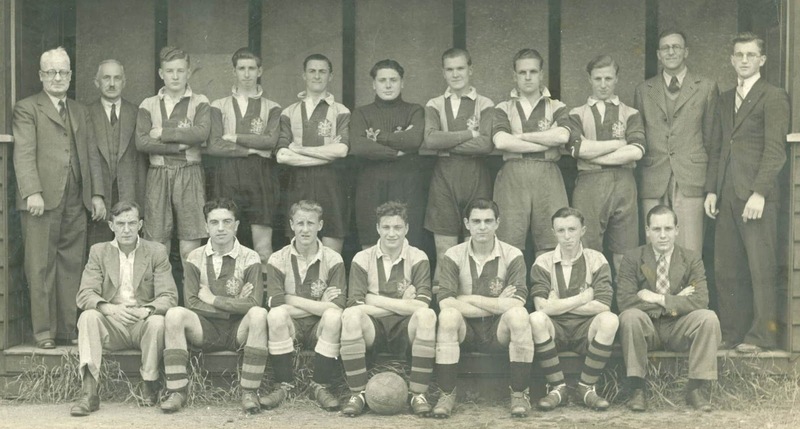 DULWICH HAMLET JUNIORS – Winners of LONDON MINOR CUP 1939/40 (September 1940). Players names only as annotated. Back row: Boyd, Marsden, Garner, Bullbrook, Hardine, Tom, Anderson. Front row: Bates, Phebey, Connett, Haskell, Dicks. The bomber pilot had the less glamorous role among the fliers. Far more romance surrounded the fighter pilot; the knight of the sky engaging in close aerial combat with his Luftwaffe counterparts in one on one duels, the pilot and his maker in close proximity. The fighter pilot could effectively become an ‘ace’ after just five missions, whereas the bomber pilot’s recognition came after five times as many flights. Despite being encased in similar aluminium framework, and on missions just as dangerous, the bomber pilot appears to have been the poor relation. He headed a seven man crew – pilot, flight engineer, navigator, radio operator, bomb aimer (front gunner), mid-upper gunner and rear gunner – delivering his cargo to strategic enemy targets. It was all about teamwork, working together to quite literally, meet targets. Yet they too were at great risk from the Germans’ fliegerabwehrkanone (Flak) anti-aircraft fire. It might involve a close call and then back to base, only to repeat the exercise the next day. Richard remembers one particular night during a renowned bombing campaign when he experienced a problem with the radar equipment, and had to face the flak on three runs before the crew eventually established the target. Richard is extremely proud that his entire crew made it through, and were able to return to their families without major injuries. In time Richard proved himself to be a man of great flying experience, and an excellent instructor. In December 1943, he was recalled to the UK by the RAF. He returned aboard one of our nation’s most celebrated ships, the Queen Mary. “It was a madhouse. With 26,000 troops aboard, there were bunks stacked everywhere. Mine was actually on the bridge of the vessel.” On arrival at the Liverpool Docks he was quickly moved up to Scotland to unlearn, as one British officer told him, any bad flying habits he might have picked up in the States. Taking charge of 33 bombing missions over France and Germany – 11 missions by day and 22 at night – his time in the air amounted to 1700 hours. A handful of those night time raids were as ‘marker crew’ dropping flares to light up a target for other bombers behind. But the primary aim of Richard and his crew was to knock out the marshalling yards, factories and oil refineries in Western Germany and to eliminate Panzer divisions. His most difficult trips were to Dresden and Chemnitz. But it is not a subject that he likes to talk about. Twenty two thousand people were killed in the bombing of Dresden alone. More souls perished in two days than in the eight months bombing of London by the Luftwaffe. That would make anyone feel uneasy. “The Russians needed assistance, we were told, because the Germans were moving equipment there to move into Russia. We were flying in wing formation and one of my wingmen took a direct hit and disappeared.” Richard was also hit and lost an engine. In the final days of the war he took part in Operation Manna [The biblical Bread of Heaven], a great humanitarian exercise. In place of bombs, tens of thousands of tonnes of food were dropped all over occupied Holland, to feed the starving civilians. 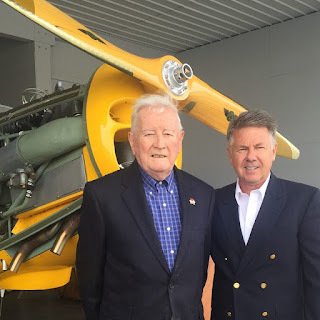 The war came to an end in May 1945 while Richard was on leave, but while many military men began returning home to their loved ones, Richard had to continue in his flying duties. He received a telegram saying he was no longer in Bomber Command but assigned to Transport Command, 51 Squadron, with immediate effect. He was not even given the opportunity to say his goodbyes to his former crew. The next year would be spent hauling Allied troops and equipment from Europe to Karachi, India via Tripoli, Cairo and Bazrah, in preparation of the next instalment of war – with Japan. In the event, two nuclear bombs put paid to that scenario. Yet just a few weeks later, before the ink was dry, Richard was badly injured in a plane crash. Having survived the Blitz, and made it through the war unscathed, he experienced his closest brush with death in peacetime! As part of the Volunteer Reserve – the training branch of the RAF – Richard was observing a pilot in a York Transporter (Avro 685 York 1). On approaching the runway at the RAF base in Woodbridge, Suffolk, on the evening of Thursday 11 April 1946, a standard procedure of simulating engine failure was carried out. The ‘three engine approach’ saw the aircraft bounce heavily on touchdown, and overshoot action was taken to avert disaster. The pilot, however, lost control as he attempted to climb away and could not avoid colliding with a wooded area close by, where the 18 tonne aircraft crash-landed and caught fire. “That’s a time I don’t even want to think about.” Of the six man crew, the pilot George Brooks from Colwyn Bay sustained the most serious injuries. He died the following day. The casualties were all rescued from the crash site and taken to the RAF hospital in Cambridgeshire. In reality, Richard’s injuries were far more serious than the report suggested. His leg was twisted out of shape and broken at the knee, and the left side of his pelvis was damaged. The impact on crashing also affected his lower back. He spent the next three months alongside the navigator and co-pilot recuperating in hospital in the village of Ely. For the first month his entire body was covered in a plaster cast. He was later transferred to Newquay in Cornwall where he was able to exercise and further his rehabilitation. “Flight Lieut. R.E. 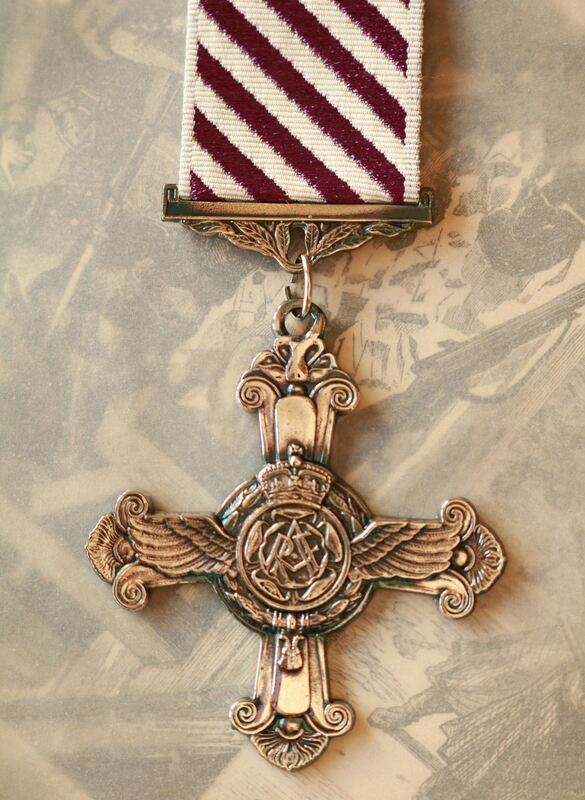 Boyd has been awarded the DFC for displaying the utmost servitude, courage and devotion to duty while on operations against the enemy. The recipient is the grandson of Mrs Boyd of 5 Percy Road, Longsowerby and the late Mr R. Boyd who for 40 years was an employee of Carlisle Corporation and the grandson of the late Mr and Mrs Irving who were well known as the host and hostess of the Plough Inn, Wreay, for many years. Report from unidentified and undated press cutting. Following his recovery in the Autumn he was put on admin. duty whilst regaining his leg motions. 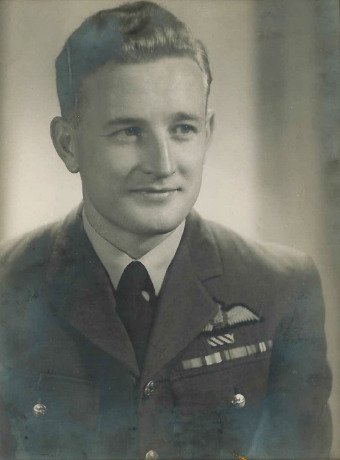 Having been pronounced fully fit, he was demobilised from the air force in January 1947. He couldn’t wait to visit Champion Hill and turn out for one of the Dulwich Hamlet sides. No doubt he was given the utmost respect when he ran out on to the pitch, but by the end of the match he realised he was nowhere near fit enough. His leg did not hold out and he left the field in great discomfort and distress. He had played his final game and he had not yet turned 26. His flying career was also over. 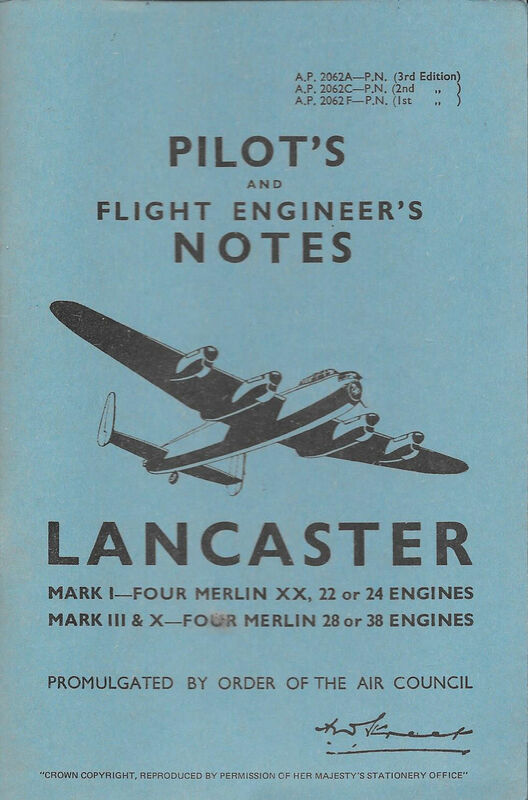 Having manned the cockpit of 15 types of aircraft, he could have taken up any position he wished to, but he had no desire to fly as a civilian pilot. So with his feet now firmly planted on terra firma, he took a job at London Airport, Heathrow, with the British Overseas Airways Corporation (BOAC) in the flight operations office. As flight dispatcher he now dealt with the crew on the ground. Once he had secured his position he wrote to Rita, his sweetheart in Toronto, asking her to marry him. Such was his confidence in her reply, the envelope also contained a one-way ticket from New York to Southampton on the Queen Mary, which he purchased at the Cunard Lines office in Trafalgar Square. They had not seen each other for four years, yet Rita made the journey and the couple were married within four months. They have now been together for sixty nine years. During his time with BOAC he did much travelling, with memorable stays in Cairo in Egypt and the Sudan. His eldest daughter Margot was born in Khartoum in 1949. A further trip to Canada found them in Montreal before being posted to Gander Airport in Newfoundland and a job with the Dutch airline KLM. It was in the town of Gander where his wife gave birth to a second daughter Kathryn in 1951. In 1956 the family made the permanent move to the United States, and a home on Long Island, New York, after Richard was head-hunted by Swissair, for a post at Idlewild Airport in New York. Following the assassination of the American President seven years later it was renamed John F. Kennedy Airport (JFK). It was here that he spent the next thirty years of his working life. Having started out planning all civil flights taking-off, in 1969 he took up the high profile and influential post of Swissair’s operations and maintenance manager for North America. It was to be quite a momentous year. After two decades jet-setting around the globe, the close-knit cosmopolitan family decided to file for American citizenship. 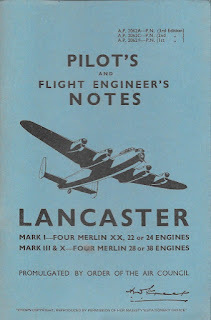 Richard has amassed a large treasure trove of awards, souvenirs, aviation books, framed pictures and items of uniform, his RAF logbooks, which he keeps in his ‘den.’ The ephemera from the various airlines he has worked for: BOAC, Swissair, Royal Dutch Airlines (KLM), etc., enhance the collection. 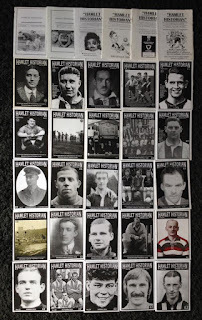 However, despite very fond memories of a joyful youth, he has precious little in the way of Dulwich Hamlet memorabilia – a couple of medals, an ancient rule book, the odd programme and that team photograph (reproduced in our centre pages) his mother cherished. Today, aged a youthful 95, Richard is registered blind. He has had macular degeneration for the last ten years, with minimal shadow vision. He lives in a retirement home, quite fittingly in Lancaster, Pennsylvania. His frail wife requires a little bit more extra care. Three or four years ago Kathryn persuaded her nonagenarian father to open up more about his heroic past and put his wonderful memory to good use before it is lost in the mists of time. He spoke to a roomful of veterans about his 45 years in military and civilian aviation at a Remembrance Day gathering, and discovered it was something that he rather enjoyed, and signed up for more talks to other assemblies. Now, at regular intervals different groups invite him to come and deliver a talk about his experiences and exchange stories with former pilots and crewmen. He especially enjoys speaking with school children. As well as being very rewarding it also gives Mr Boyd a chance to air his two sets of wings – US Army Air Corps and RAF – plus a row of miniatures. His next appearance is at an air-show in June where an aeroplane named in his honour will be flying in. Now, how cool is that for a former Dulwich Hamlet boy. Acknowledgement and grateful thanks to: Richard Boyd; Kathryn Boyd; Ian Colley; Stephen Hunnisett; Tim Trimble (pictured above with Richard); Bill Azzi. Sources include: conversations with, and video recordings of Richard Boyd; emails and conversations with Kathryn Boyd; DHFC programmes; South London Press. I still have a number of copies of the current issue of the Hamlet Historian magazine, priced at just £2.00. Please contact me via email or in person at one of the remaining Hamlet matches this season and I will see that you receive a copy.